Level 33: On this one you just need to move the top triangles up a bit, so the ball can go over the bottom spinning square. Drop Flip Level 33 Walkthrough, Cheats, Solution for Android, iPhone, iPad, iPod. Level 32: You have to move the second platform to the bottom, and first platform slightly up. Trick: if you release the ball fast when the level loads it will have more speed. Drop Flip Level 32 Walkthrough, Cheats, Solution for Android, iPhone, iPad, iPod. Level 31: Move the two triangles all the way up, if the ball goes over the bucket just lower the right triangle a bit. Drop Flip Level 31 Walkthrough, Cheats, Solution for Android, iPhone, iPad, iPod. Drop Flip Level 30 Walkthrough, Cheats, Solution for Android, iPhone, iPad, iPod. Level 29: Just move down the 2 right triangles pointing downwards. Drop Flip Level 29 Walkthrough, Cheats, Solution for Android, iPhone, iPad, iPod. Level 28: This one looks complicated, is not. Just move the platform next to the bucket up to the maximum. Now just drop the ball into one of the cog's gap. Drop Flip Level 28 Walkthrough, Cheats, Solution for Android, iPhone, iPad, iPod. Level 27: You can do this 2 ways: hit the ball with the hammer so it bounces into the wall and then in the cup, or you can do it as you see in the video - drop the ball on the hammer and it will swing the ball straight in the bucket. Drop Flip Level 27 Walkthrough, Cheats, Solution for Android, iPhone, iPad, iPod. Level 26: Make the triangle shape point right, then move it slightly to the left side. Now place the vertical line in the top-left corner. Drop the ball, it should easily get into the bucket now. Drop Flip Level 26 Walkthrough, Cheats, Solution for Android, iPhone, iPad, iPod. Level 25: You should try to avoid the 2 small pendulums, and drop the ball straight on the big one. Drop Flip Level 25 Walkthrough, Cheats, Solution for Android, iPhone, iPad, iPod. Level 24: Nothing much to do here, just try to drop the ball at the right time. Drop Flip Level 24 Walkthrough, Cheats, Solution for Android, iPhone, iPad, iPod. Level 23: Flip the triangle and try to drop the ball so that it will reach the bucket when it's at the lowest point. Drop Flip Level 23 Walkthrough, Cheats, Solution for Android, iPhone, iPad, iPod. Level 22: Just needs a little luck, wait for the bucket to slow down a bit, than drop the ball and hope for the best. Drop Flip Level 22 Walkthrough, Cheats, Solution for Android, iPhone, iPad, iPod. 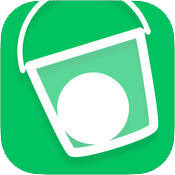 Level 21: This level is tricky, you need to drop the ball just at the right time so that it will go over the two vertical lines and into the bucket. Drop Flip Level 21 Walkthrough, Cheats, Solution for Android, iPhone, iPad, iPod. Level 20: Wait for the gap near the bucked to be covered by the falling rectangles, then drop the ball. Drop Flip Level 20 Walkthrough, Cheats, Solution for Android, iPhone, iPad, iPod. Drop Flip Level 19 Walkthrough, Cheats, Solution for Android, iPhone, iPad, iPod. Level 18: Flip all the shapes and move the first 2 slightly up. Drop Flip Level 18 Walkthrough, Cheats, Solution for Android, iPhone, iPad, iPod. Level 17: Just move the two bananas slightly upwards, it should be enough for the ball to reach the bucket. Drop Flip Level 17 Walkthrough, Cheats, Solution for Android, iPhone, iPad, iPod. Level 16: Drop the ball when the moving platform is at the lowest point. Drop Flip Level 16 Walkthrough, Cheats, Solution for Android, iPhone, iPad, iPod. Level 15: Wait a bit for the pendulums to move slower, than drop the ball straight on the bigger pendulum. If you drop it at the right moment the ball will make it inside the bucket. Drop Flip Level 15 Walkthrough, Cheats, Solution for Android, iPhone, iPad, iPod. Level 14: You need to time the drop so that it will fall on the moving pendulum. Drop Flip Level 14 Walkthrough, Cheats, Solution for Android, iPhone, iPad, iPod. Level 13: Just adjust the rectangles a bit and with a little luck the ball will drop into the bucket. Drop Flip Level 13 Walkthrough, Cheats, Solution for Android, iPhone, iPad, iPod. Level 12: Again just drop the ball without moving any of the pieces. Drop Flip Level 12 Walkthrough, Cheats, Solution for Android, iPhone, iPad, iPod. Level 11: Just open the door, without moving anything. Drop Flip Level 11 Walkthrough, Cheats, Solution for Android, iPhone, iPad, iPod. Level 7: You need to make the ball bounce from the triangle into one of the vertical lines, and the in the bucket. Level 9: Place the little square beneath the ball, so that the ball will bounce from it's edge. Level 10: Flip the triangle and the other shape, now the ball should fall in the bucket. Drop Flip Level 6-10 Walkthrough, Cheats, Solution for Android, iPhone, iPad, iPod. Drop Flip Level 1-5 Walkthrough, Cheats, Solution for Android, iPhone, iPad, iPod. Drop Flip walkthrough for all 128 levels, for iphone, ipad and android devices. Drop Flip is a delightful game chock-full of silly physics contraptions! Move, flip and manipulate obstacles of every shape and size as you accomplish the not-so-simple task of dropping a ball into a bucket. Need help to solve a level in Drop Flip? Pick it from the list below to see the walkthrough for it.